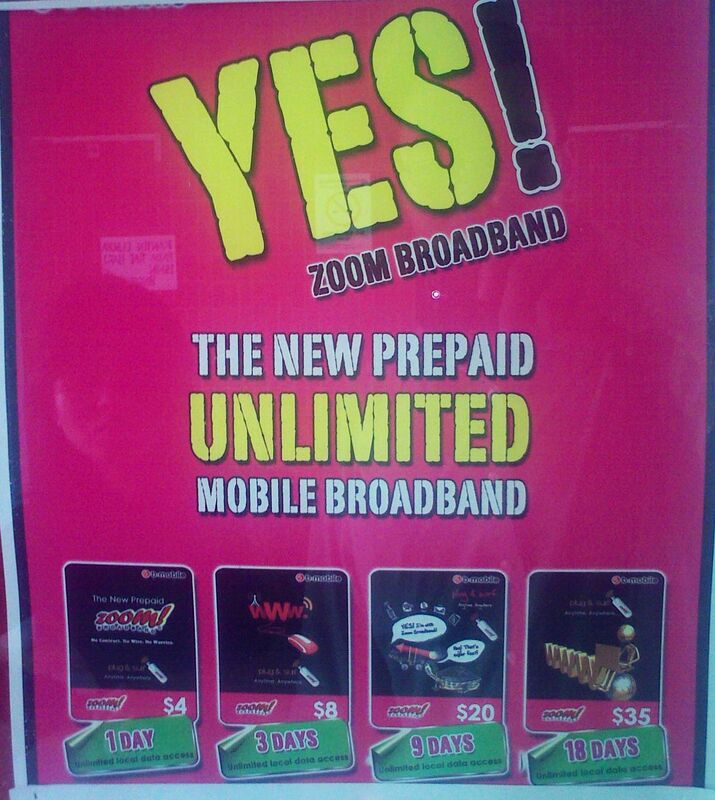 So during my travels I found out about prepaid broadband SIM cards that let you have unlimited mobile broadband (e.g. 3G) while on the go. The ones that I’ve used are fromM1 (Singapore) and Digi (Malaysia). I stumbled upon this poster advertising Zoom! (bmobile’s mobile broadband) while visiting Telbru. This is a perfect opportunity for people to test Zoom! to see how well it works in their area: remember it is a shared Internet connection so it can be slow if the area is saturated. Speed also depends on the modem you are using. Note: Just realised my titled was wrong. I forgot to put the word ‘Unlimited’. This is important as DST Go! and bmobile Zoom! already have prepaid options but they are not unlimited. This new unlimited option is a great option for tourist who are here for a short period of time and need not worry about the amount of data they use.